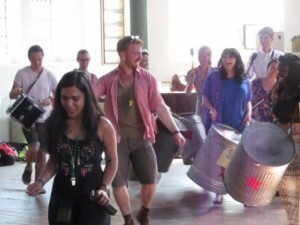 An exciting and inclusive energising and team building junk percussion workshop, bringing small groups together for a big olympic style drumming finale! The staff very much enjoyed the experience – it was a very good way of bringing a large team together to work as a whole. The energy and enthusiasm of the leader was infectious. The Clatteratti! drum circles illustrate the principles of team work within a structured and supportive environment. 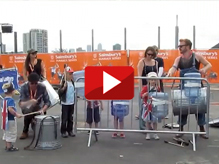 This Team Building Drumming Activity provides a collaborative platform for your team. Guided by our facilitators the drum circle becomes a vehicle of creative expression that transcends social obstacles. Many businesses seeking to provide beneficial activities for their employees look at the drum circle as a way to promote a sense of partnership, reduce stress levels, produce peak performances and encourage healthy peer relationships. Our high impact interactive drumming sessions deliver a real sense of personal achievement while establishing a strong sense of team and unity. 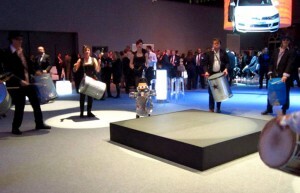 A Clatteratti ice breaking drum session is a powerful way to open or close conferences. To revitalise and re-focus participants between presentations or before speeches or awards. It is also a great way to end off on a guaranteed high note at the end of a meeting. Traditionally, drumming has been used as a prelude to community functions. 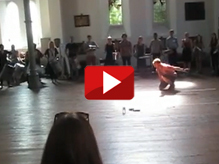 Open your conference with group drumming and get off to a powerful start. Drumming quickly breaks the ice and breaks barriers between participants. To relax and invigorate participants, treat them to a break-out drumming session in-between speeches and presentations. Since companies spend a lot of money arranging conferences, it’s vital that participants remain focused and connected. Workshops can be tailored to create specific outcomes, call us now to discuss what you want to achieve!